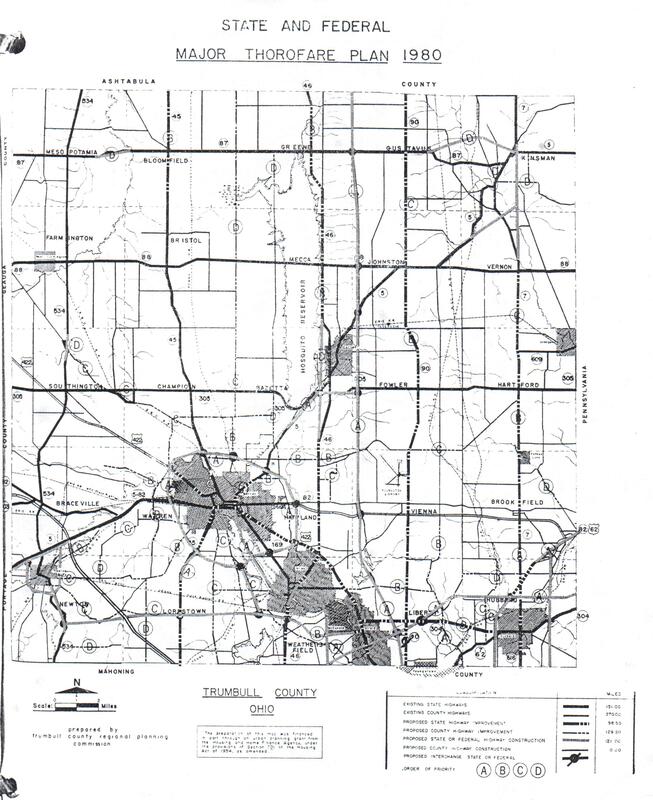 This map by the Trumbull County Planning Commission shows plans for many highways in Trumbull County. Some were built, some weren't (compare to this map of Trumbull County today, part of the official Ohio DOT transportation map). This was contributed by Mahoning Valley resident Matt Walcoff (read his comments about it here). 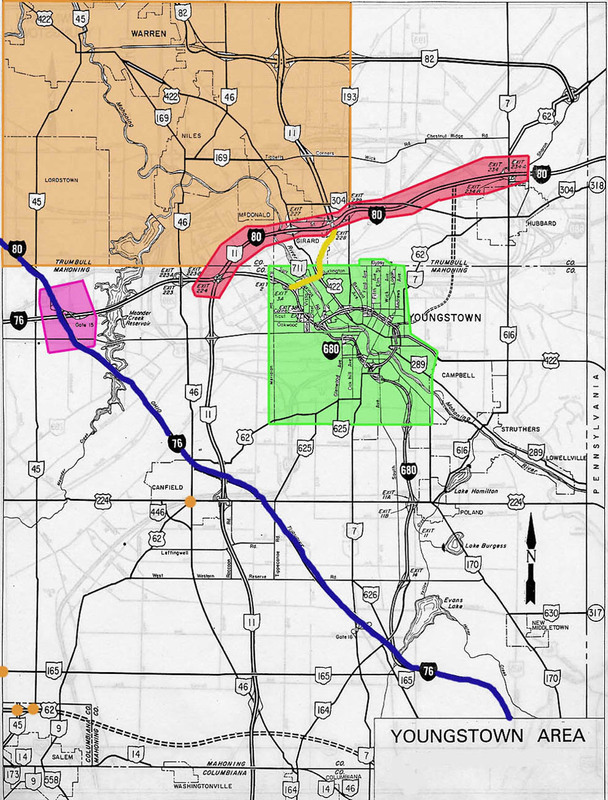 See also the 1958 Interstate proposals for Ohio, which include an I-78 and an I-84 in the Youngstown/Warren/Sharon area.